← Junior badminton starts in Northfield……! 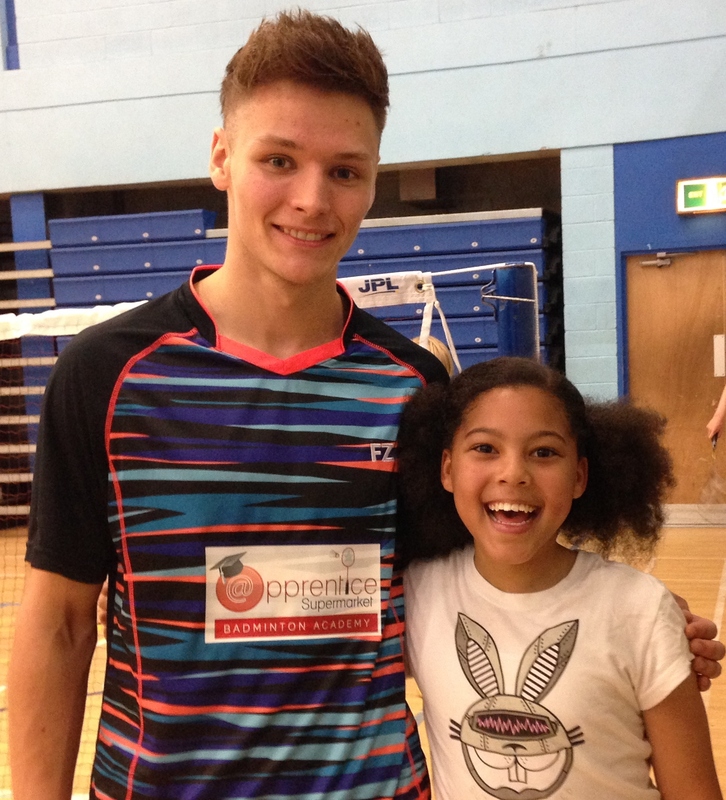 Kaylah writes in her own words about her experience in a local FORZA badminton tournament. ‘I started Badminton in my back garden when I was 8 years old then I found out about Stephanie’s Saturday Badminton club at Harry Mitchell and that’s when I started to like it more. Skills I learnt were to serve, drop shots, high shots, low shots and smashes. After all that I got a letter from Stephanie saying that I can go to the trails to get in the tournament . There was 3 other people in my age group plus me altogether there was 6 matches 3 singles and 3 doubles. First was the singles I played I lost 21-11, the next round I won 21-13. The last game I the score was 21-5 and I won. After was the doubles I played the first two and lost. Then I played last game and won. This was the trails to get into the tournament I was hoping I got in. Playing Badminton for me is a really good experience because you get to learn new skills and learn new moves. When I got to the tournament on Saturday 13th June I felt happy that I made it this far and I was also excited that I got to play with some people from the England team and see how they play and also get some coaching and tips off them or sometimes you can just have a knock up with them and see their movement. When I got to the tournament I was playing 7 games altogether 4 singles and 3 doubles my first singles round I lost 21-7 even though I was sad I didn’t give up my next round I lost again 21-7 I kept trying my third round I won 21-16 and my final round was a walk over (means I won). After was my doubles, my partner was Fanni the first round we lost 21-10. The second round we lost again 21-17 and the final round we won 21-18. I thought this experience was amazing in every single round I loved it a lot. Later was the presentation it went year 5/6,7/8,9/10,10/11 I was hoping I got something but I didn’t I was disappointed but anyway I absolutely loved the experience . 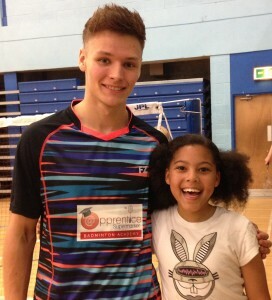 If you love Badminton start from an early age and you’ll keep getting better and better.’ Kaylah. This entry was posted in Badminton News, Badminton Session, Juniors Badminton, Schools Badminton and tagged Badminton Coach, Badminton Coaching, Badminton Tournaments, Birmingham Badminton, Birmingham leisure centre, county junior badminton, harry mitchell, harry mitchell badminton, Harry Mitchell Leisure Centre, Junior Badminton, junior badminton coach, junior badminton coaching, smethwick leisure centre, Summer badminton, Warwickshire junior badminton, Warwickshire schools badminton, Warwickshire Schools Badminton Association. Bookmark the permalink.